Good news! 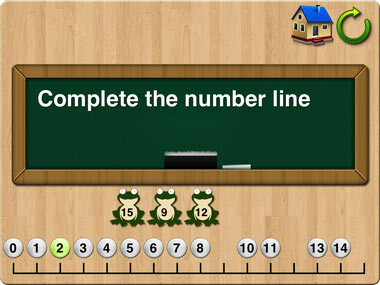 'Number Lines School Edition' is now available. We've removed the ads and you can now purchase copies through Apple's Volume Purchasing Program. Put a blue frog on the number line, put a red frog on the number line, how many steps does one need to catch the other? If the frog makes six jumps, what number will he be on? Note if the child jumps one number at a time or makes one giant leap. 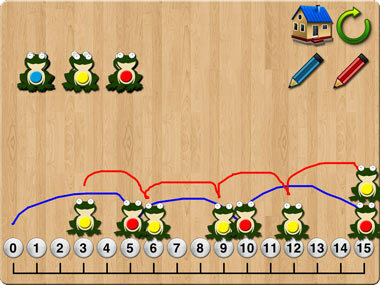 Can you make your frog (or pencil) jump on every second number? Why did you put that number in first / last? Could you put the numbers in their place quicker? Do you need to count each space? How do you know which way to jump on the number line?